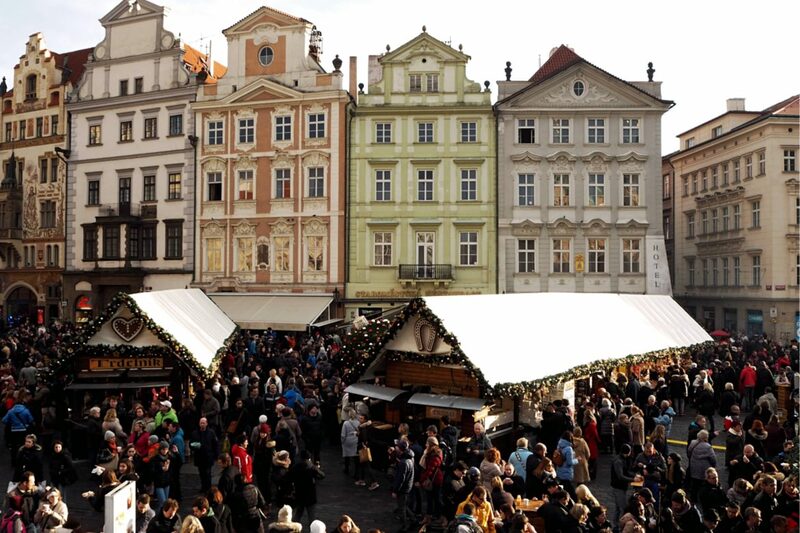 Christmas Market in Old Town Square is the most famous and popular one. You can recognize it easily from a number of people visiting it every day 🙂 Therefore, for somebody who hates crowds (like me) it might be a quite stressful experience. But at least once in a Christmas time every year, I am going to visit it. 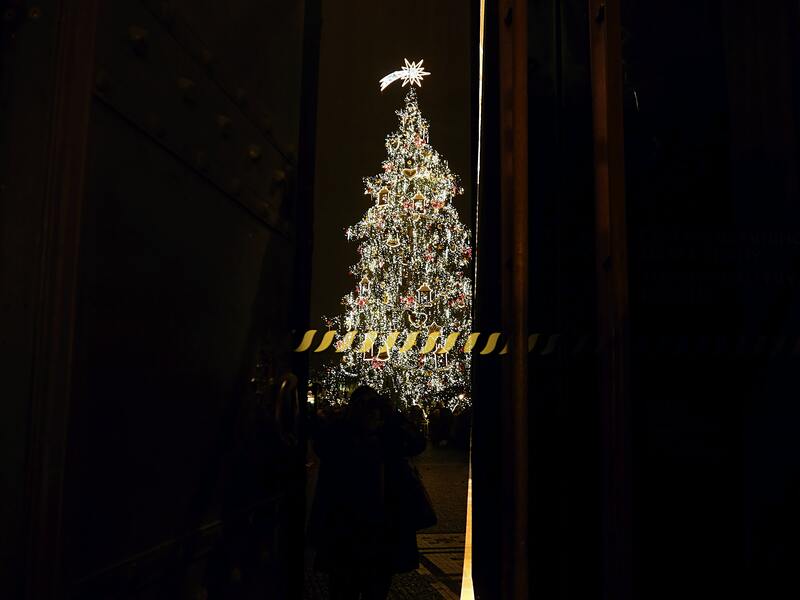 The reason why I am going there every year is that the Christmas tree is always so beautiful and worth to see (and suffer from the crowds). Dates for the upcoming season: 2nd December 2017 – 6th January 2018, 10 a.m. – 10 p.m. 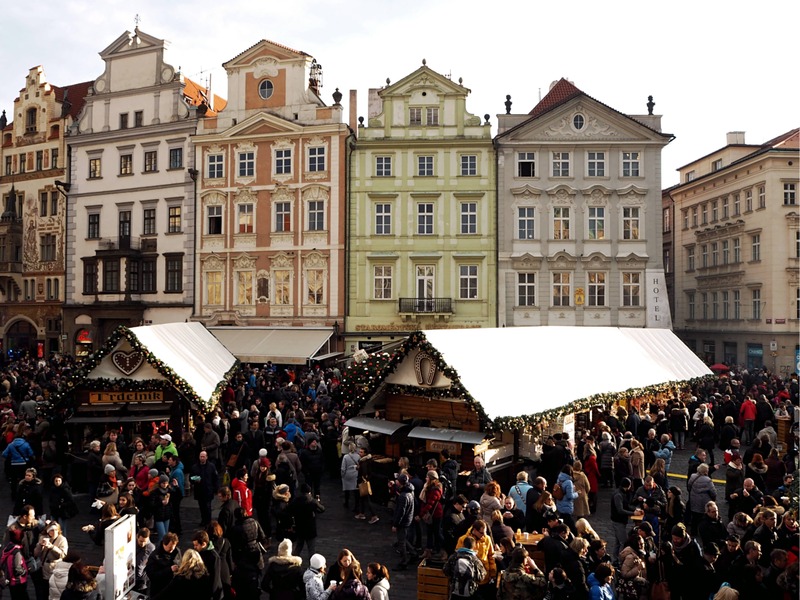 The market in Wenceslas Square is smaller than the one in the Old Town Square. 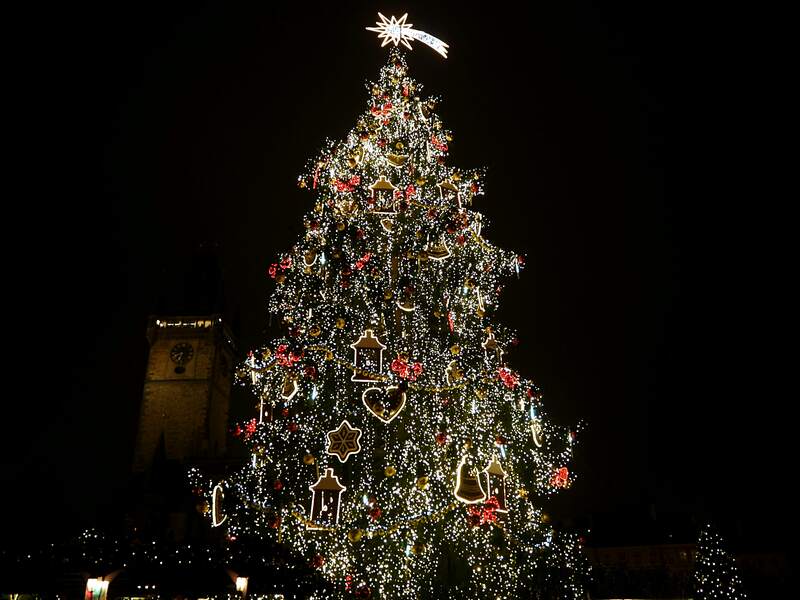 This iconic Prague long square looks so nice when the trees are covered with Christmas lights! 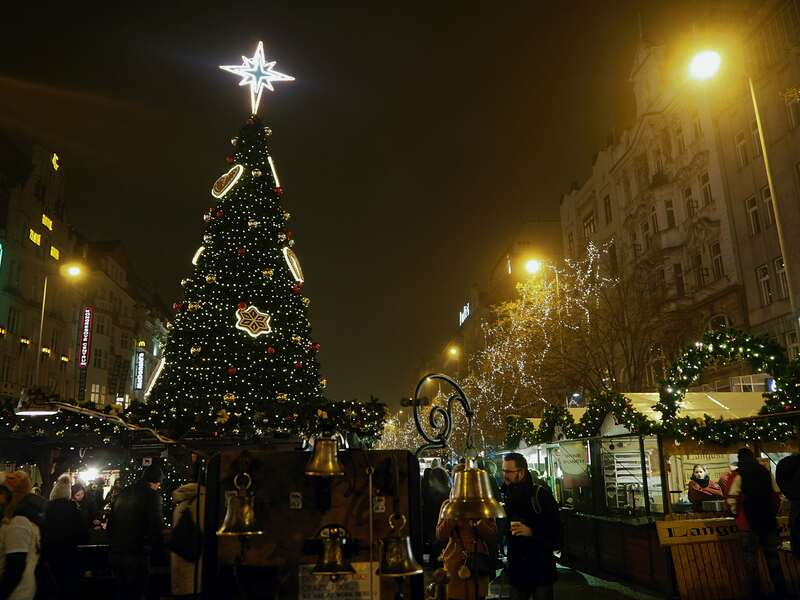 Wenceslas Square is to me most beautiful at this time of the year. After enjoying the market atmosphere I can recommend you to stop to my most favourite cafe in this area: Styl&Interiér. Every year you can find markets also in Republic Square, right in front of shopping mall Palladium (which is quite handy if you need to do also some Christmas gifts shopping 🙂 – although this shopping centre is due to its central location always overcrowded and in Christmas time is quite crazy there I dare to say. 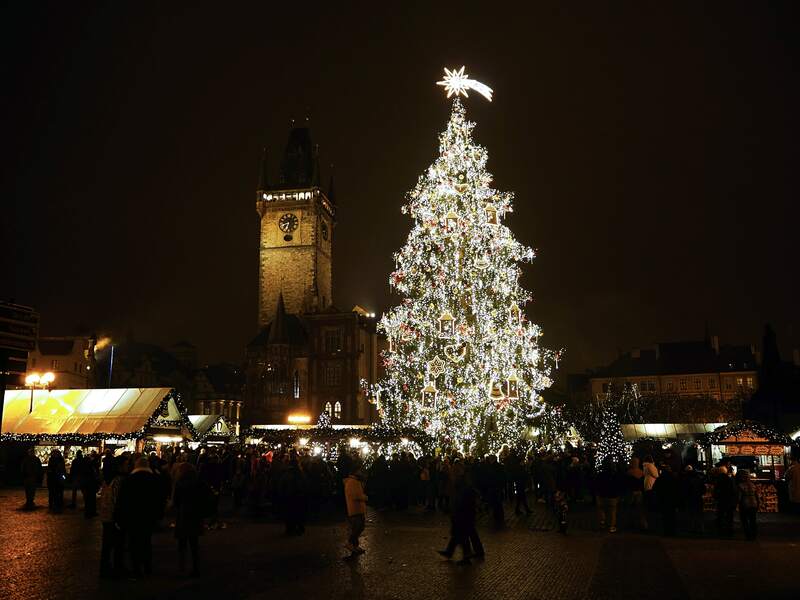 If you search for some less stressful shopping venues check the malls in outskirts of Prague. My favourite one is shopping mall called “OC Černý Most” – easily accessible with metro B to the station Černý Most). Christmas markets in Piece Square are for sure my most favourite ones. Is it a place where most of the locals hang out. It has so nice atmosphere. 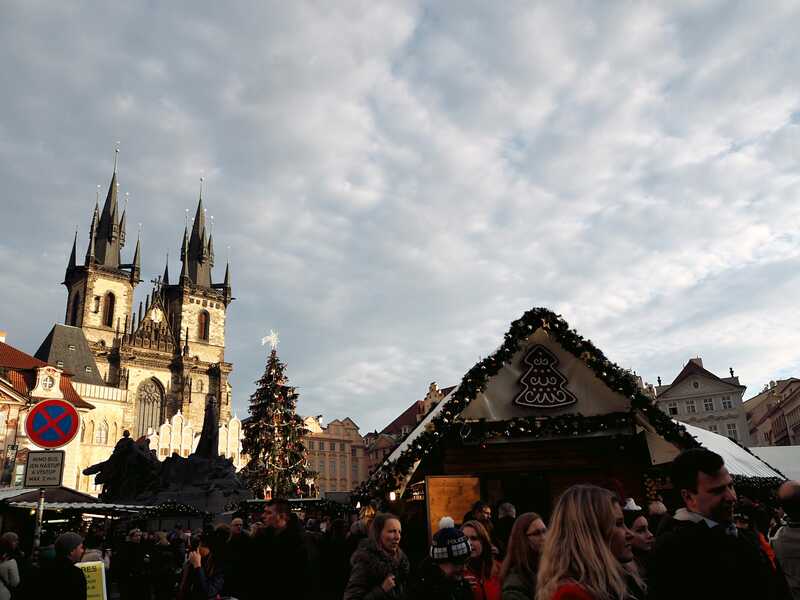 Just imagine, little square with stunning neo-gothic basilica, huge Christmas tree, nicely decorated stalls, lots of Christmas lights and smell of mulled wine. 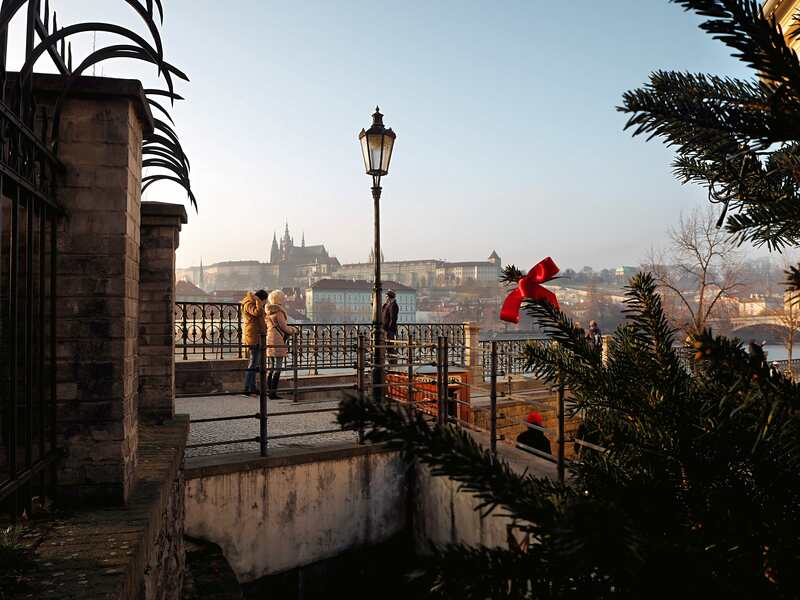 This is just (Prague) Christmas perfection. Dates for the upcoming season: 20th November – 24th December 2017, 10 a.m. – 7 p.m. 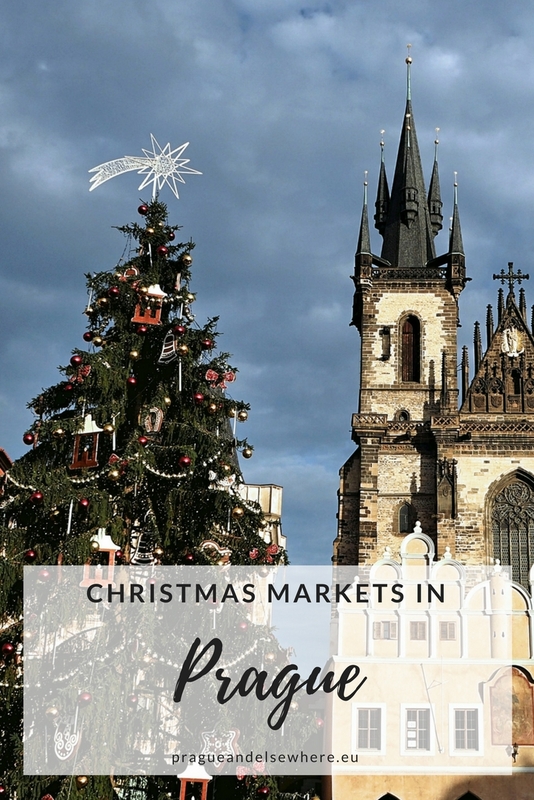 So these are the main Chrismas markets in Prague, but you can find other, smaller, all over the city. You can check for example those in Prague Castle, Tyl Square, Jiřího z Poděbrad Square or the one in Anděl. 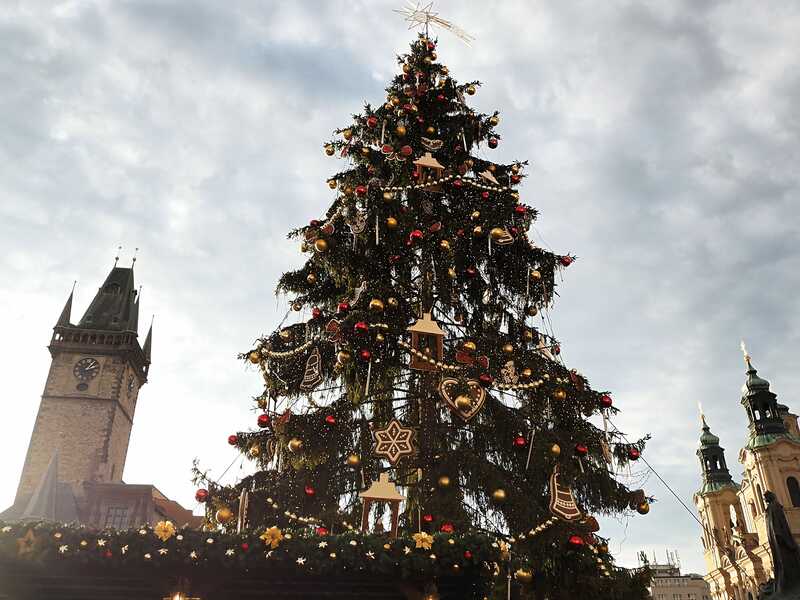 I hope you will enjoy Prague Christmas Markets as much as I do. 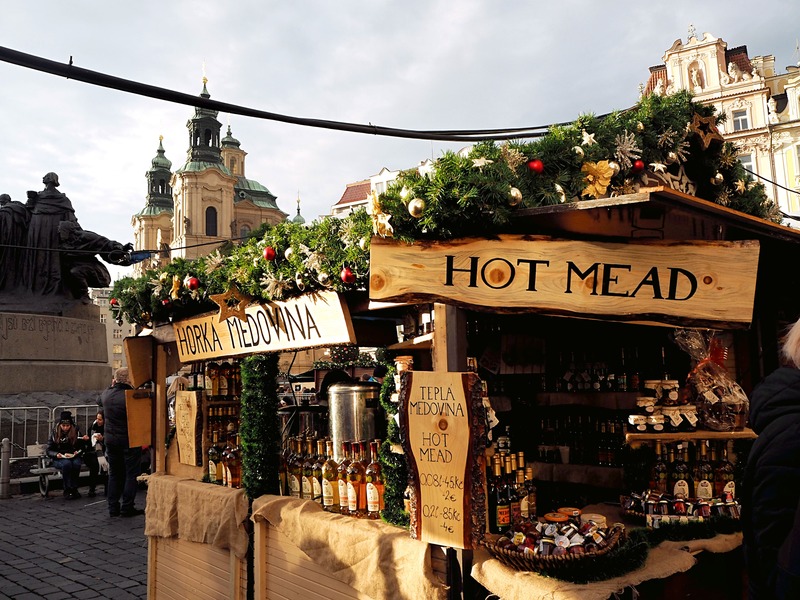 Do not forget to get a cup of mulled wine and piece of Trdelník (sweet pastry made from rolled dough). This is on my bucket list big time! Really hope to do this soon. Great pictures! I fell in love with the city the moment I landed there. 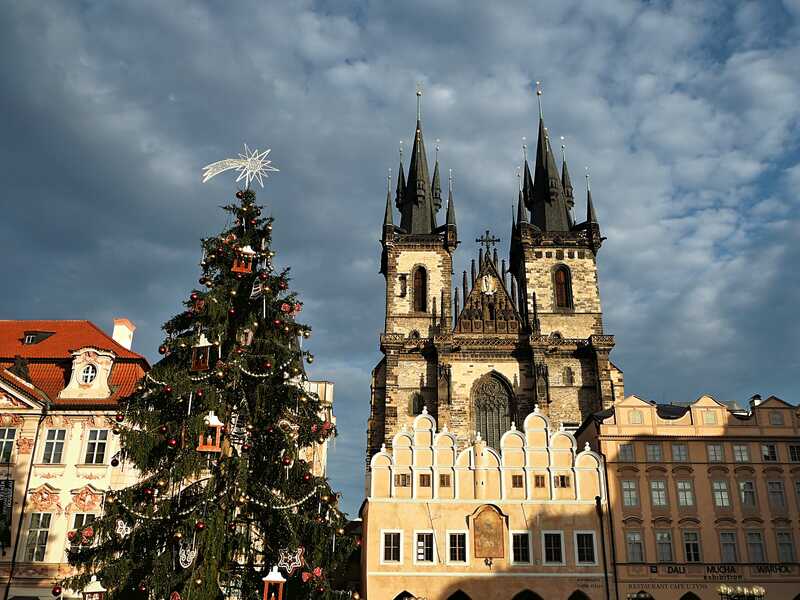 I love the place and to see Praha at Christmas is a dream!! 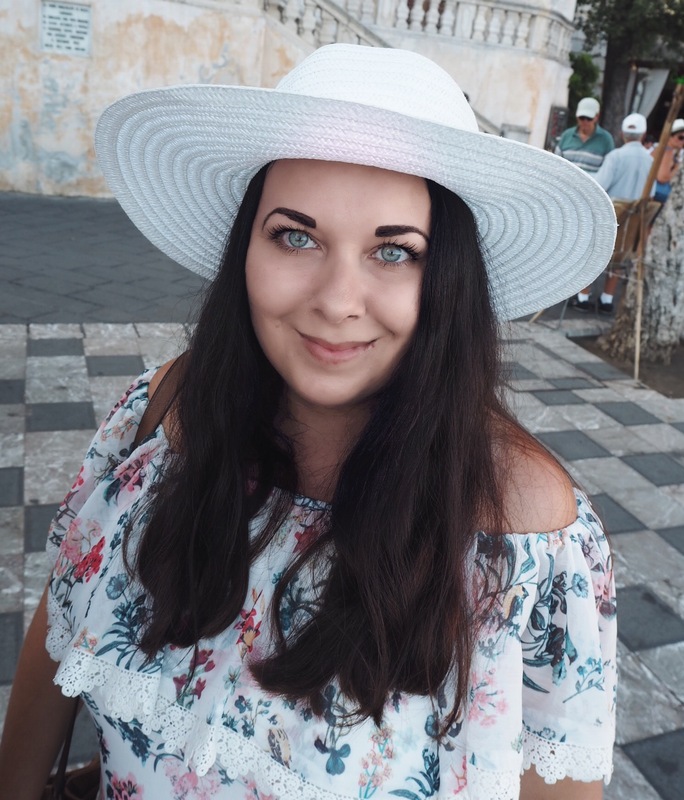 Love these pictures and tips! What an awesome post! Makes me want to book a flight immediately! Thank you for this! 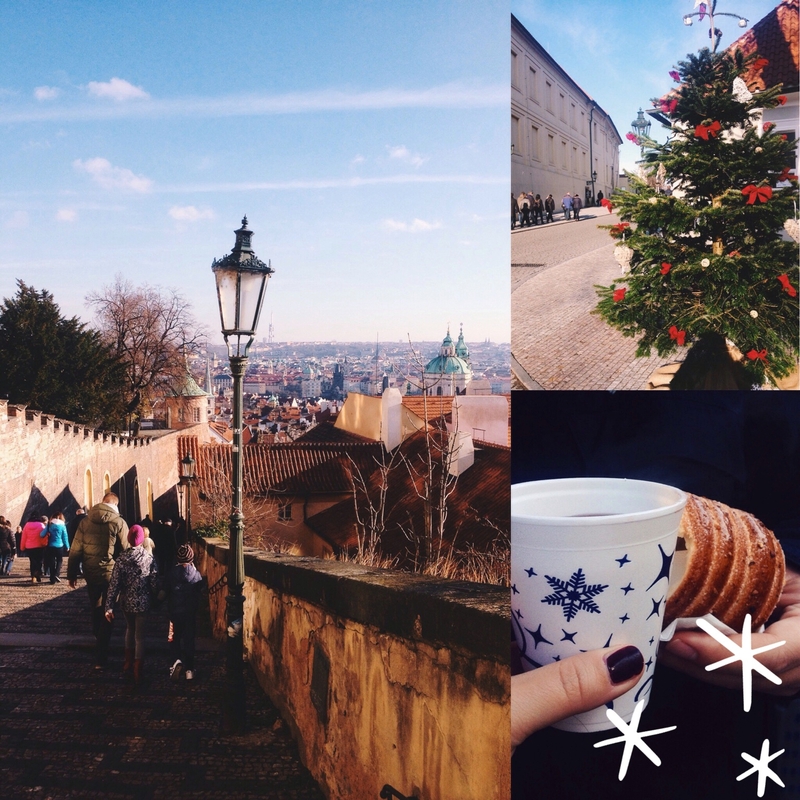 I’ve recently got an urge to visit Prague, and this looks perfect – I’ll be using this list! 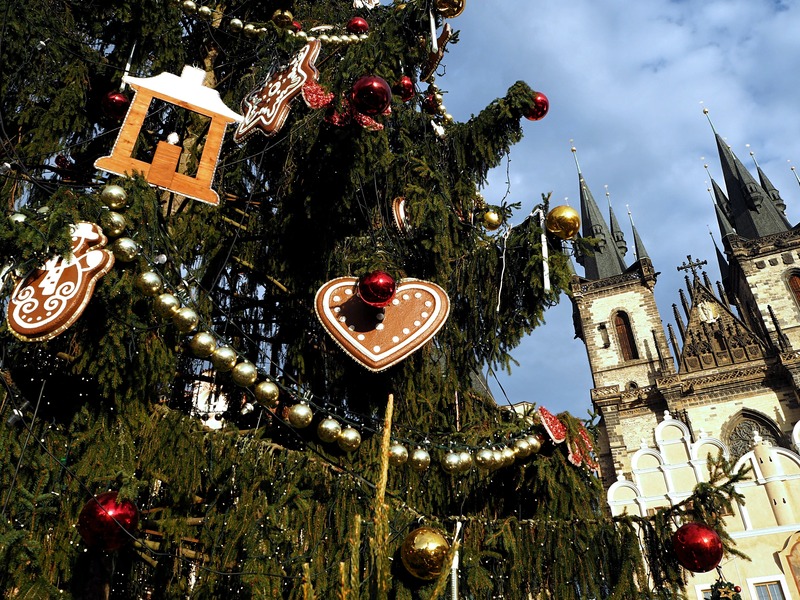 I’m DYING to go to Prague at Christmastime. I was just there last month and fell in love with it! All these photos looks like a literal fairytale. 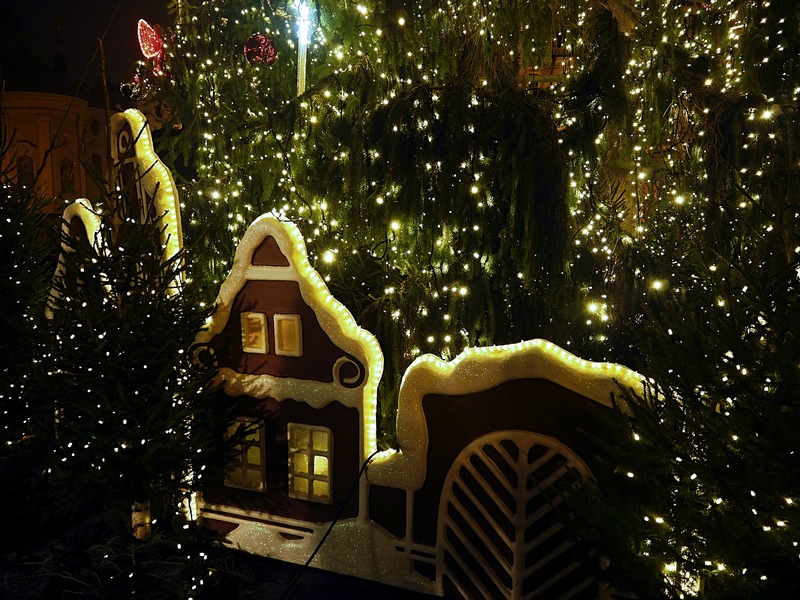 I would love to be able to make it to Europe for all of the Christmas markets. I’m not a big fan of the cold, so I really don’t know how I would do. Have to take it in small doses I guess. LOL. I love how the Prague booths seem to look so natural with their decorations. Just lovely. Thanks for posting, I’ll be saving it for later. I love Prague. Its one of the beautiful European cities. I fell in love with it, when I visited in March 2017. I wish I can travel there someday for Christmas celebrations. Your pictures are very amazing too! I cant wait! I will be in Prague from 23rd – 28th December! I just really really hope it snows! !